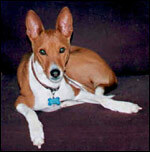 ...providing rescue, foster-care & placement of Basenji, and Basenji-mix dogs. A wealth of news and photos sent in by the families of our adopted dogs. Click the link above, then click the "News!" icons to view. This page contains 199 sweet faces. Please allow time for your browser to load all images. Toni with 17 Year Old Basenji Friend! 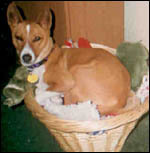 Pre-Adoption Application even if our current Basenjis do not match your needs. 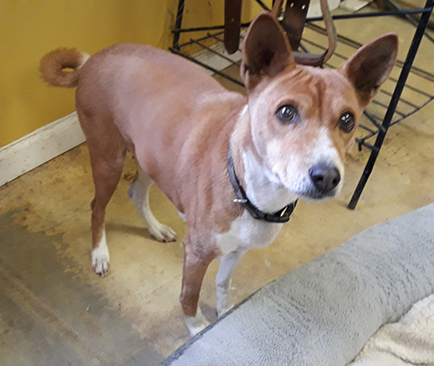 We may have dogs available soon that are now in the intake process (Basenjis are listed after they are thoroughly evaluated & deemed healthy). When a dog needs emergency placement, we check our database for pre-approved applicants to foster or adopt. Please contact CBR for a free replacement! Please contact CBR to update your address & phone number! 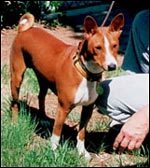 © 2001-2014 Colorado Basenji Rescue. All rights reserved.